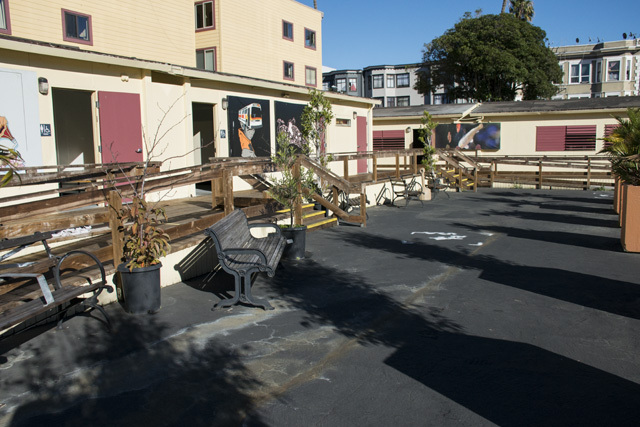 Mission Street’s Navigation Center, the city’s first, is lauded for being a low-barrier shelter, a place where street dwellers can come as they are and have all their needs met. For those determined to get off the streets, it can be the pathway to finally getting housing, but others may fall through the cracks as the center is also working with some of the most difficult cases. 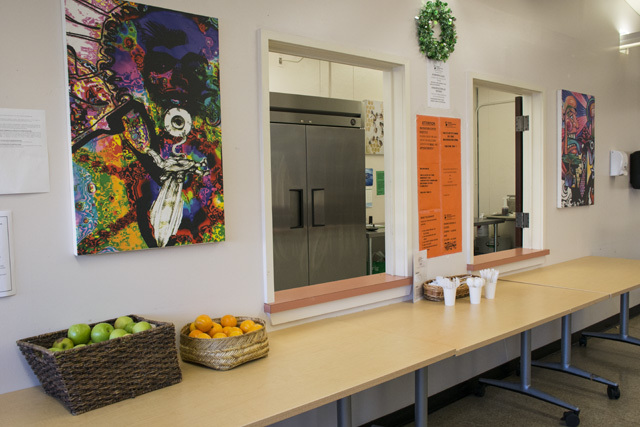 In principle, the Navigation Center moves people off the streets by allowing the partners, possessions and pets that sometimes bar homeless individuals from traditional shelters elsewhere in the city. Lately, its referrals come primarily from city workers clearing encampments in the Mission District. 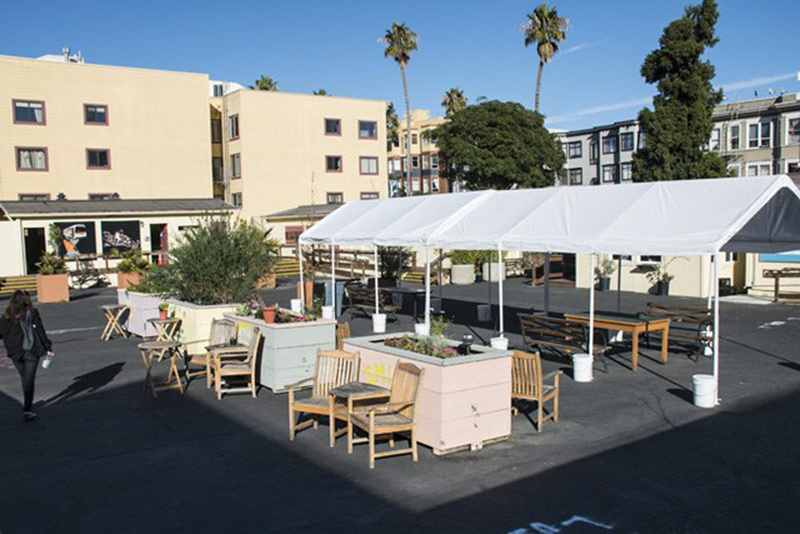 The spaces at the Mission Street center, all 75 of them, are coveted, because the center has a reputation for flexibility and getting clients, if not housed, then at least better prepared to deal with the system. Some 79 percent of clients who have come through the Navigation Center had a “stable” outcome. In reality, this means that 25 percent have gotten some kind of housing and 54 percent have gotten a ticket home. The remaining 21 percent have gone to “temporary” or “unstable” exits. 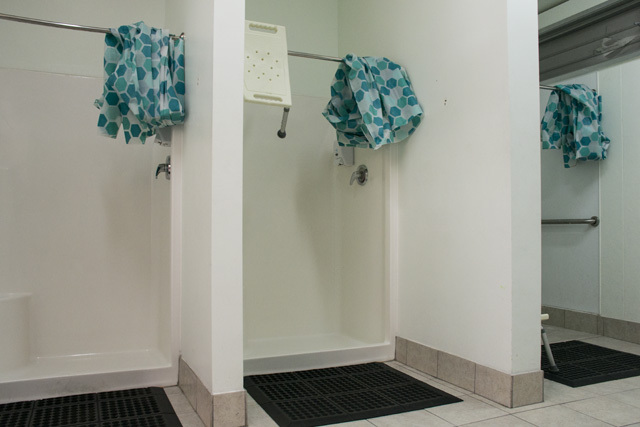 The Navigation Center is sharply different from the city’s two major shelters offering more than 300 beds each. 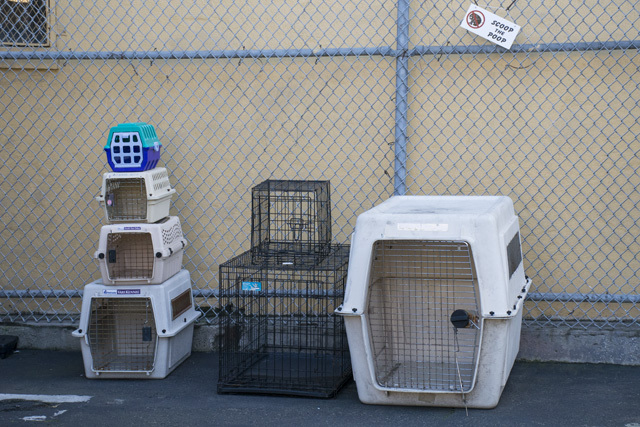 These high-capacity shelters, the ones that aren’t set up specifically for youth, women, or families, usually prohibit pets, will separate couples who don’t have children, and bar clients from bringing in their belongings. 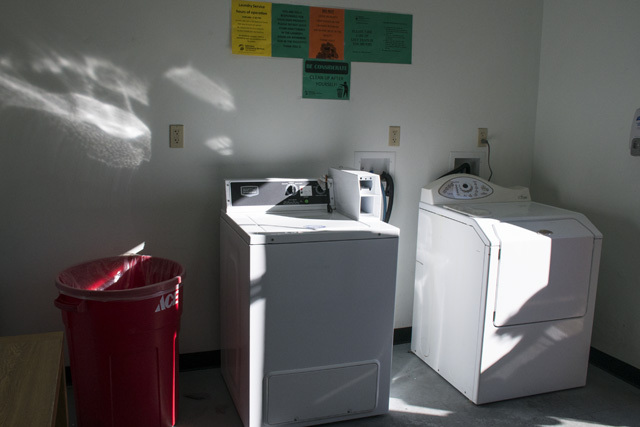 Moreover, the Navigation Center offers meals, showers, and laundry around the clock, unlike shelters, where meals and other activities are scheduled, along with curfews and quiet hours. On a Friday afternoon in December, it is quiet and warm inside the center, a stark contrast to the street outside on Mission near the 16th Street corridor. There boom boxes blast salsa, groups of street dwellers laugh and talk and cars and buses rumbling through the nearby intersection. 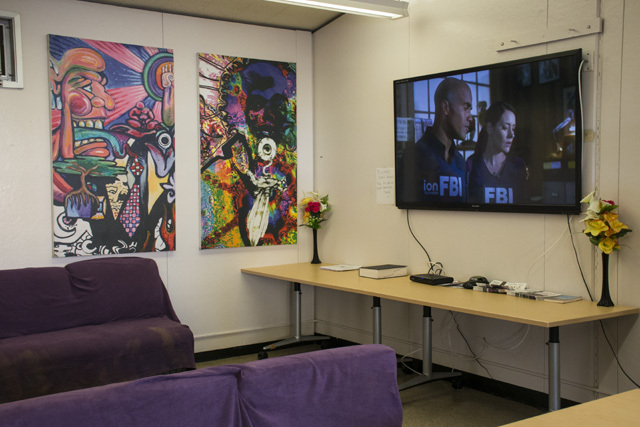 Inside a former portable classroom now outfitted with a large television mounted on the wall next to psychedelic donated art, Miguel Hernandez is eating pancakes and sausages from a black plastic microwaveable Meals on Wheels tray. Three other residents are in the nearly-empty room, which is mostly silent except for the compressed blare of the television. Hernandez, born in Cuba, arrived in the United States in 1980 and though he declined to go into how he ended up without a home, he has been staying in the Navigation Center for nearly six months. He rises at 5:30 a.m. every morning from a cot in another former classroom he shares with 14 others – each classroom at the 75-bed center houses 15. He eats breakfast, then makes his way to Labor Ready, a jobs program with branches on 26th Street and in the Portola. He makes a little bit of money there to pay his phone bill and other small necessities. Staff at the center have helped Hernandez access financial assistance, which he hopes will enable him to get an apartment of his own. The Navigation Center’s high ratio of staff to clients makes individualized attention like this possible, from case managers who help with things like getting IDs and General Assistance benefits, to nurses who visit regularly, to Animal Care & Control staff who come to make sure residents’ pets are up to date on vaccines. There are even recurring DMV visit days. Later in the afternoon Hernandez, sat and talked with Enrique Chumpitaz on the wood-paneled benches outside the Navigation Center, soaking up the afternoon rays of sun in the December chill. Inside, the deserted but sunny courtyard slowly attracted five or so residents. Chumpitaz has been there nine months. Fortunately, Chumpitaz is about to move into a senior housing facility on 18th and Alabama streets. He never lived on the streets, but paid for rooms in SROs by the week. 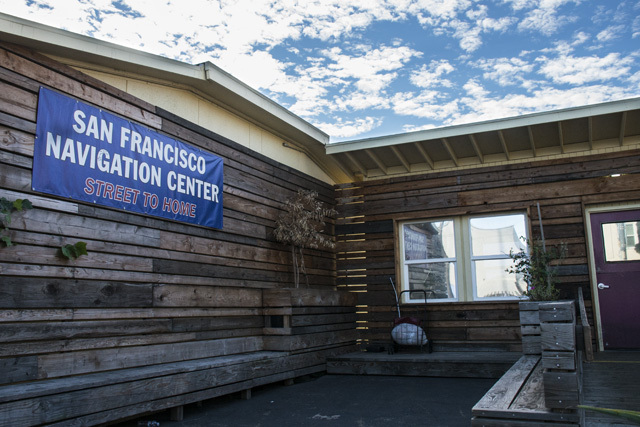 He arrived at the Navigation Center through a referral from the Mission Neighborhood Resource Center on Capp Street. Now, with a note from his doctor saying an SRO isn’t appropriate for him, he’s getting routed to the senior center. Wayne Henderson has completed his journey of about four months through the Navigation Center, having previously lived on the street. Unlike many others, he already had an ID, he was receiving financial assistance, and his Medicaid was secured. He just needed a place to go, and the center helped him find it. 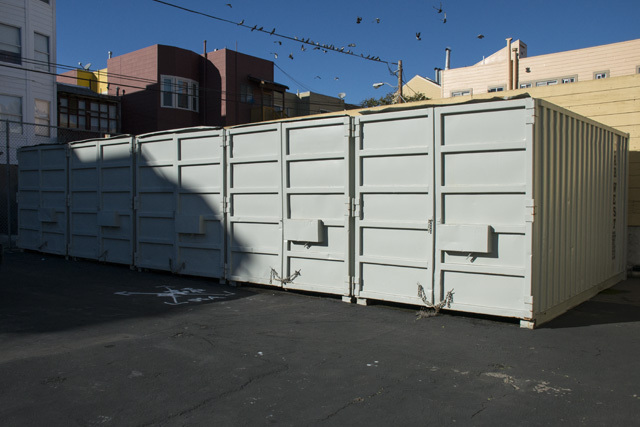 Within three weeks he was offered a space at the Mission Hotel SRO on 16th and South Van Ness streets – but turned it down because the rent would have been too high. “I wasn’t going to give them 70 percent of my income to stay at the Mission Hotel, so I turned it down,” he said. So staff found him an alternative. Henderson now lives at the Henry Hotel, a former SRO turned supportive housing center, and will stay there for a year. If he is still in good standing at the end, he said, he will be transferred to a studio apartment of his own. Of course even the Navigation Center isn’t the answer for everyone. For some, even with its low barrier to entry, the center might not be tailored enough, said Henderson. Others who aren’t as prepared or driven as Henderson, Chumpitaz or Hernandez may be less successful. Days at the Navigation Center are structured – if they are at all – around the clients’ appointments. The center is setup to accommodate these appointments, be they medical or paperwork related, on-site to make it easier for clients to attend them. Other than that, there are sometimes activities, but a site manager, John Ouertani, didn’t specify what those might be. “We keep ‘em engaged,” he said. During his stay, Henderson said he has seen people miss those very appointments the Navigation Center made it easy for them to reach. “A lot of folks there do not make a lot of their appointments for one reason or another,” he said. Sometimes he would ask fellow residents why they missed their appointments and would hear back, “They don’t tell me what I wanna hear,” he said. Though staff try to be understanding and helpful, habitual drug use at the center can also result in being asked to leave. For still others, the Navigation Center is not quite enough to keep them off the streets, even while they have a bed there. Wearing a skirt and boots despite the chill, Wendy Glass breezed through the recreation room to pick up a few meal packs, then sat in the courtyard to eat them. She has been at the center for about a month, and found the staff capable and commendable. They recently helped her secure her birth certificate and she hopes they will help her find an SRO room. Glass, for example, isn’t spending her whole day at the shelter – she has things to attend to outside. She usually gets her meals elsewhere and sells goods on the sidewalk to get by, between two and four days a week depending on how money is. She also says many at the center store belongings out on the streets. Another resident, sitting on a bench in the sunny courtyard and folding a letter from the shelter informing him of his upcoming shelter date, says he does the same. Though he didn’t specify a reason for his discharge, he did say that he is more of a drop in client. “I don’t sleep here…I have stuff out there,” he said. He’s tired of being homeless and likes the center, but isn’t sure what to do next. Henderson said this, too, happened during his stay as well. Though allowing possessions is one of the navigation center’s distinguishing characteristics, Glass said it’s not always possible for the center to store everything a resident may come in with. 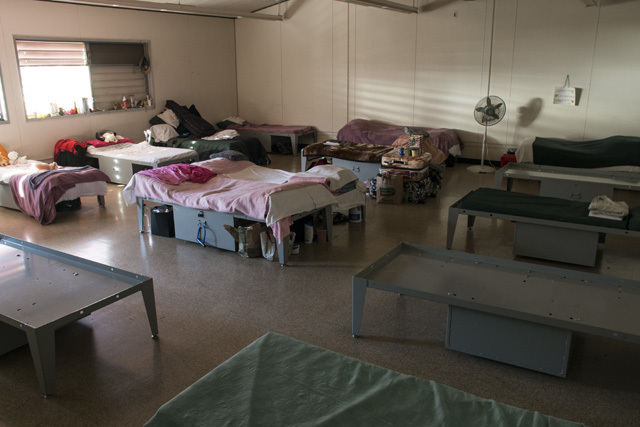 Randy Quezada, a spokesperson for the Department of Homelessness, said while the shelter does try to accommodate belongings and doesn’t have a specific limit to how much an individual can bring, some come in with hoarding disorders, or people may simply want more space. It can also be hard to adjust to a new lifestyle, he said. After all, the shelter’s main feature has been its ability to offer residents autonomy and flexibility. There is no curfew. The only requirement for presence, said Ouertani, is that residents be there at least every 72 hours. Though he did not address the practice of clients staying in their tents, he did acknowledge the strength of past connections.